Create your own Epson Stylus Photo R2400 inkjet pack / bundle with our flexible quantity discount pricing. Mix and match products so you are only purchasing what you need, but also maximizing your savings. Remanufactured Cyan Ink Cartridge with 450 page yield. Equivalent to Epson part number(s): T059220, T0592. Fits the following model(s): Epson R2400. Remanufactured Magenta Ink Cartridge with 450 page yield. Equivalent to Epson part number(s): T059320, T0593. Fits the following model(s): Epson R2400. Remanufactured Yellow Ink Cartridge with 450 page yield. Equivalent to Epson part number(s): T059420, T0594. Fits the following model(s): Epson R2400. Remanufactured Black Ink Cartridge with 450 page yield. 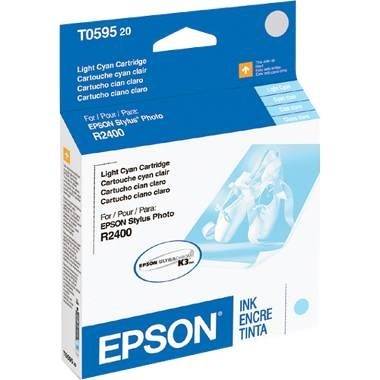 Equivalent to Epson part number(s): T059120, T0591. Fits the following model(s): Epson R2400. Remanufactured Light Cyan Ink Cartridge with 450 page yield. Equivalent to Epson part number(s): T059520, T0595. Fits the following model(s): Epson R2400. Remanufactured Light Magenta Ink Cartridge with 450 page yield. 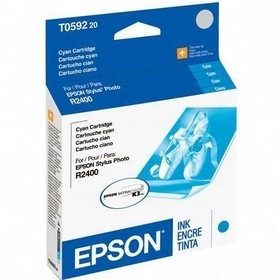 Equivalent to Epson part number(s): T059620, T0596. Fits the following model(s): Epson R2400. Compatible Matte Black Ink Cartridge with 450 page yield. Equivalent to Epson part number(s): T059820, T0598. Fits the following model(s): Epson R2400. Compatible Light Black Ink Cartridge with 450 page yield. Equivalent to Epson part number(s): T059720, T0597. 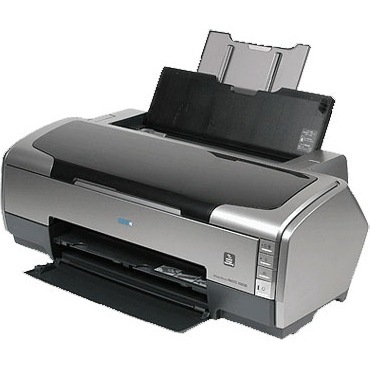 Fits the following model(s): Epson R2400. Compatible Light Light Black Ink Cartridge with 450 page yield. Equivalent to Epson part number(s): T059920, T0599. Fits the following model(s): Epson R2400. Buy our high quality compatible ink for Epson Stylus Photo R2400 with confidence. Join thousands of happy customers who have found our compatible products are equivalent in page yield and print quality. For our compatible products, we offer a 100% Satisfaction Guarantee allowing you to return products within 6 months if you are unsatisfied. The Epson Stylus Photo R2400 is a pricey inkjet printer, but it boasts an extensive package of features that may justify the cost to those who want excellent photo quality. The machine is built for high-quality output rather than speed, with 11x14-inch photos taking nearly two minutes to print and 8x10-inch photos printing in approximately one minute. Those more concerned about the device's performance will be satisfied, as well as pleased with its flexible media handling and ease-of-use. The R2400 is considered a medium-format photo printer because it can accept paper with a maximum size of 13x44 inches. The 100-sheet input tray is flexible, accepting media such as watercolor paper, glossy photo paper, luster photo paper, matte paper and heavy-weight paper. While its capacity to support a range of media is beneficial, it also is a contributing factor to the machine's large size of 24x12x9 inches. For optimized photo printing, the unit incorporates Advanced Micro Piezo technology that can print precise Epson R2400 printer ink droplets. Such technology allows the unit to print striking photos with a resolution of 5760x1440 dpi using color Stylus Photo R2400 printer ink that will resist smudging and fading over time. This device doesn't include standard PictBridge connectivity or memory card slots for direct photo printing, perhaps based on the justification that it's among a certain high class of photo printers designed to work with graphics and image programs for editing. The unit bundles Epson Raw Print software as an example of one such program. One annoyance common in many of the R2400's reviews is its two individual light and matte black Stylus Photo R2400 ink supplies that must be switched out based on whether matte or glossy paper is being used. The device also incorporates standard black, cyan, magenta, yellow, light cyan and light magenta Epson R2400 ink cartridges that can each yield 450 pages. Minor setbacks like its expensive price and interchangeable black Epson R2400 ink cartridges aren't enough to keep experts from praising this device for its superb output and medium-format design. Both amateur and professional photographers alike will benefit from this inkjet printer excellent photo output quality.